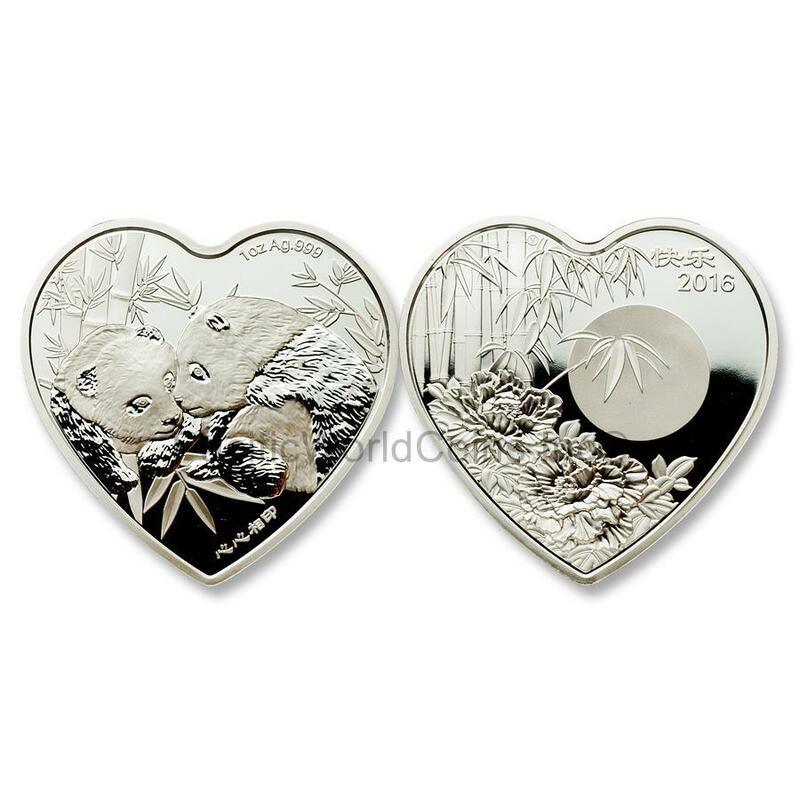 Since it was first issued in 1982, the Panda has become China’s most popular precious metal collector coin. Millions have been minted and sold. Now, an official Panda has been struck in the shape of a heart. On one side are a pair of Pandas. On the other is a moonlit scene of a bamboo forest. 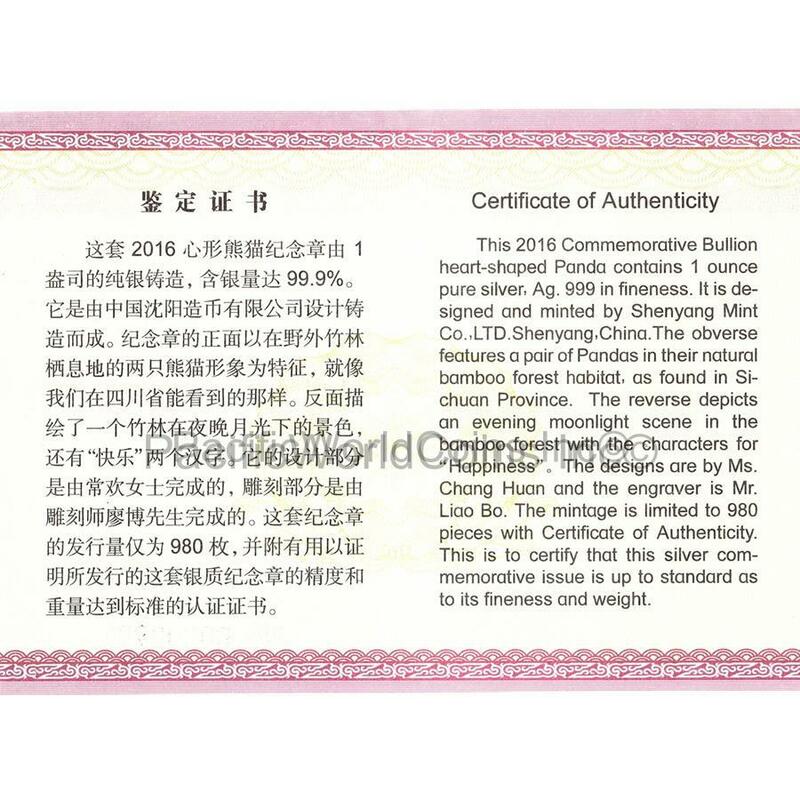 The Valentine Bamboo Panda is a product of the Shenyang Mint, China’s oldest mint. It is struck in pure .999 silver. Obverse: A Pair of Pandas in their natural bamboo forest habitat, as found in Sichuan Province. Reverse: An evening moonlight scene in the bamboo forest with the caaracters for "Happiness".